When orphaned Irish siblings Molly and Kip arrive to work as servants at a creepy, crumbling English manor house, they discover that the house and its inhabitants are not what they seem. 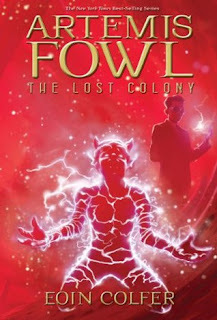 Soon the children are confronted by a mysterious spectre and an ancient curse that threatens their very lives. With Auxier's exquisite command of language, The Night Gardener is a mesmerizing read and a classic in the making. A Victorian mystery in the tradition of Washington Irving and Edgar Allan Poe. The Night Gardener is a mesmerizing read and a classic in the making. I was lucky enough to win The Night Gardener through the Goodreads First Reads Program. It had been on my reading list for quite some time so I was really psyched about getting my hands on a copy. Since I haven't read a middle-grade book in awhile, I jumped right into this one as soon as I could and it turned out the be a welcome return to the genre! The Night Gardener focuses on two abandoned Irish children, Molly the older sister and her younger brother Kip, as they are hired as servants in an eerie English Manor on the verge of disrepair. Of course, it soon becomes clear that something is very much amiss in this house. 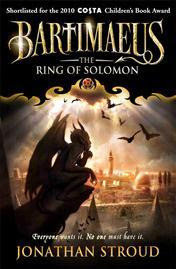 It isn't long before the children encounter an evil spirit that haunts the house and it's inhabitants, while they sleep. What's not clear is why exactly the place is cursed and what the terrible specter is up to when he appears - other than terrifying everyone, of course. The story is told in alternating points of view from Kip and Molly and I really enjoyed both their voices a lot. It's clear that these two siblings love and care for each other very much so their relationship with one another is sweet. More than that though, their unique voices and their individualized take on the events taking place gave the story added perspective and colour. Both Molly and Kip do speak in a sort of Irish slang and I know sometimes writing slang can be hit or miss, but in this case once I got used to it, I found it only added another layer to the sibling's personalities and helped set them apart from the stuffier English family that hired them. Now normally you all know that I don't do scary books, but I figured I was safe with a nice creepy middle-grade ghost story. The Night Gardener was just the right mix of childhood innocence and eeriness to keep my attention throughout. I was quickly pulled into the mystery of the chilling spirit that haunts an equally unnerving house and I needed to know all the details: Why was this house haunted? When did it start? Is the ghost really evil or is something else going on? Are the family that live in the house responsible for it's haunting in any way? Are they all safe? And how do our two young MC's Molly & Kip fit into it all? Luckily these mysteries were revealed one by one but honestly, the fun part was in the 'not-knowing'! I thoroughly enjoyed the journey from wondering what was up, to starting to realize there is something very wrong here, to HOLY HELL EVERYONE GET OUTTA THAT HOUSE!! AAAHH! Author Jonathan Auxier did a wonderful job of delving out the suspense one tiny morsel at a time. 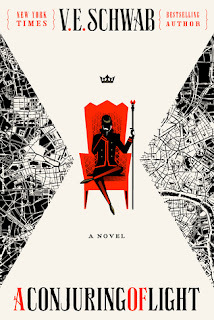 It was always a perfect balance of wonderment and anxiety, and paired up with short chapters and a simple, yet engaging writing style made for a delightfully quick, not to mention enjoyable read. 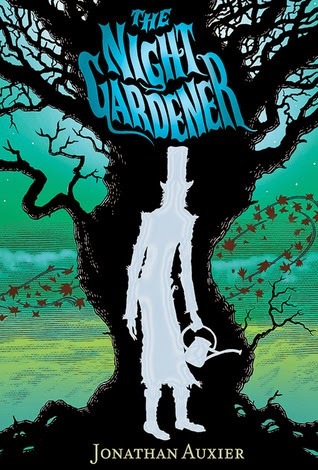 Now I realize my review for The Night Gardener has been mostly vague but I think this is a book best experienced by knowing as little as possible about the plot going in. I feel like both the author and publisher tend to agree because the blurb is kept decidedly short and enigmatic. But I will say this: if you're a fan of middle-grade books and enjoy a good haunting/ghost story that's both deliciously atmospheric and ominous, I'd recommend checking this one out! I was sold at "eerie English manor." This sounds like a lot of fun. I think Middle Grade and YA have the best horror stories because they're never (usually) too scary for me. I know what you mean about staying away from books that are too scary :) Also, I like what you said about pieces of information being told slowly (little by little). Nothing can be more frustrating that information being dumped on you all at once. HAHA Yep, I was too! Yeah MG and YA ghost stories are pretty much my limit when it comes to scary books. If it's suitable for kids and teens then I usually take my chances! And I agree, info dumping is bad. This was a great example of classic storytelling where details are revealed a little at a time! I am definitely NOT a scary book reader either Micheline, but I feel like maybe I could handle an MG ghost story. Maybe. I'm a pretty impressive wuss, so it's possible this one will still scare the life out of me, but I love the sound of it. And sometimes you just have to be vague in a review and let everyone find out certain things for themselves! It usually takes me a good while to get used to slang when its used heavily in the dialogue but it sounds like a good one worth trying. Ah excellent, this one sounds fantastic! I'm not big on scary books either because, well, I'm just a wimp, but I do enjoy a creepy read from time to time. One of the scariest books I've ever read was actually middle grade - it was Coraline by Neil Gaiman and it was written for children, but YE GODS did it ever terrify me!! This one sounds a bit less terrifying, but still excellent. I've never heard of the author before, but he sounds like a definite talent. Fantastic review, Micheline! !